You can redeem Shop Your Way Points in store and online at Sears, Sears Grand, Sears Essentials, Sears Hometown Stores, Sears Home Appliance Showroom, Sears Hardware, Sears Outlet, Sears Auto Centers, Kmart, Lands’ End, and mygofer. 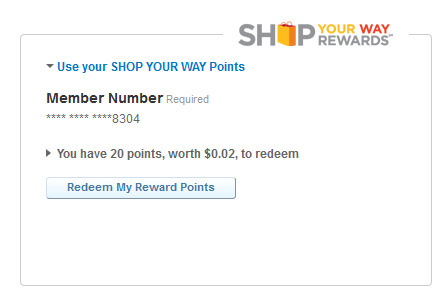 Currently, Points may not be redeemed on Sears Home Services. What items do not qualify for Point’s redemption? 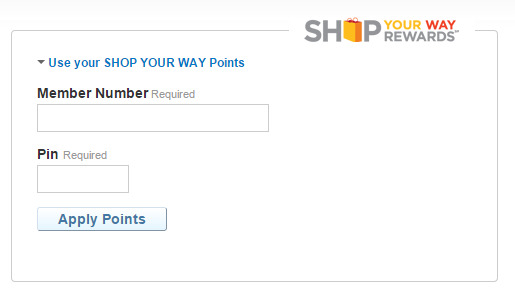 Most items are eligible for a Point’s redemption. The following purchases are excluded: prescriptions, lottery tickets, licenses, tobacco, alcohol, firearms, gift cards, postage, gasoline, bill payments, credit card payments, Western Union, prior layaway purchases, purchases for which Points were already redeemed, Sears Home Services, Land’s End stores, ServiceLive and Sears Hearing Aids, Portrait Studios or any other license business, charges for installation, delivery, shipping charges, extended warranties, Sears or Kmart auctions on eBay, and taxes and fees. Please seeProgram Terms and Conditions for a full list. 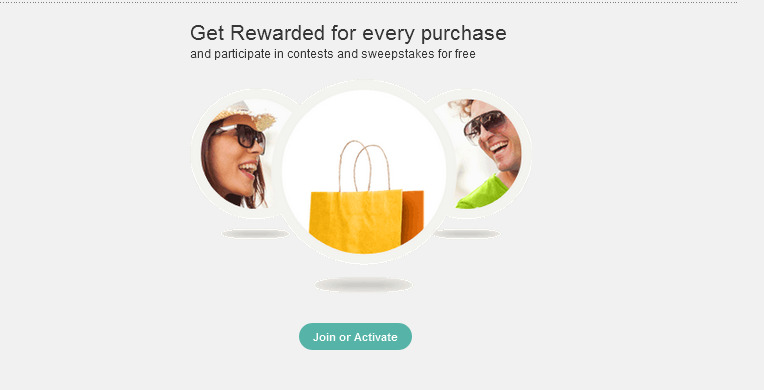 Can I use my Points with other discounts or coupons? Yes! 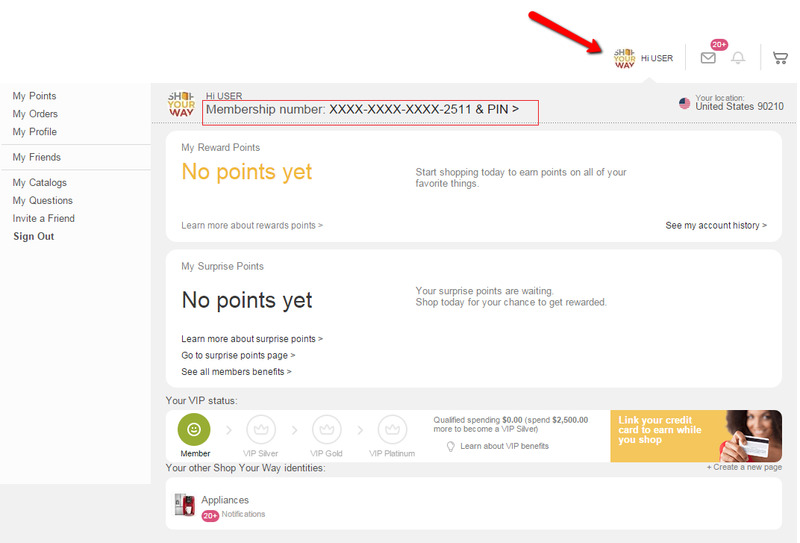 Your Points can be combined with other discounts and special offers as well as any form of payment accepted at the store you are shopping at.